Day 04: Fly back to Entebbe to connect with your international flight out of Entebbe. 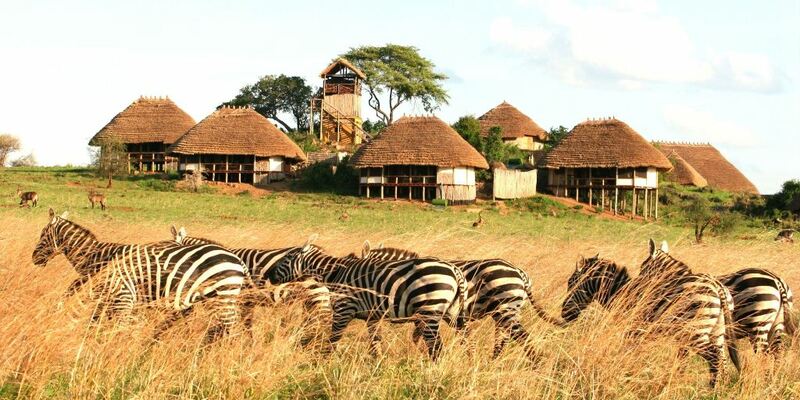 You 4 day kidepo Valley Fly in safari will begin by picking you from your Guest house/hotel in Entebbe/kampala to Entebbe international Airport where you will charter or use scheduled flights to Kidepo valley National Park. The flight from Entebbe Airport to kidepo Valley National park exposes you to some of the best sceneries Uganda has to offer. It is an opportunity to take aerial photos during your safari. Our Kidepo flying safaris take approximately 2 hours landing at Kidepo Valley Airstrip where our representative will pick and transfer you to Apoka Safari Lodge the best lodge in Kidepo National Park. You will be served Lunch, relax in your room and or swim in the wide swimming pool as you wait for your late afternoon game drive in kidepo valley. Transfer from the lodge to Kidepo Valley for a game drive that will expose you to wild animals such as buffaloes, elephants, hippos, several antelopes, if lucky lions and leopards. Return to the lodge for dinner and overnight ending the first day of your 4 day kidepo valley fly in safari. After an early morning cup of tea, you will drive back to Narus valley to enjoy a morning game drive. Try to look out for the same animals and may be others like cheaters if luck strikes. Kidepo game drives are so unique that you may find yourself and guide in a vast and un spoilt national park. The valley is surrounded by hills which makes the scenery very stunning. Return to Apoka Safari Lodge for lunch, relaxation as you prepare to visit the Karamajogo people. The Karamajongo are very famous cattle keepers who love their cattle. Visit their home steads known as the Manyatas, they will dance for you and explain their culture to you before retiring to Apoka Safari Lodge for dinner and overnight. You will be driven to KidepoVally Airstrip for your return flight back to Entebbe to connect with your international departure flight marking the end of your 4 day kidepo Valley fly in safari.